In the coming years, the Energy sector will change completely its paradigm. It is already happening due to the disruption of the ICT technologies, the cost reduction of the renewable energy sources (RES), energy storage systems (ESS) and other grid devices which make the grid smarter, in other words, more controllable and more observable. One of the goals of this future energy system is to ensure that the power will be delivered in a secure and stable way under any circumstance. From the urban and rural areas point-of-view and under the future energy scenario (close to 100% of renewable energy in the generation share), the consumers won’t be a passive actor but an active agent with decision capacity and even its own generation (known as prosumers). Additionally, novel automation devices capable of detecting the grid status and operating automatically protections are starting to appear in the market, which allows more grid automation. This new actor and devices lead to the so-called microgrids (in the city – rural environment) which are small electrical systems including generation, consumption and storage that can be connected to the main grid or work islanded. 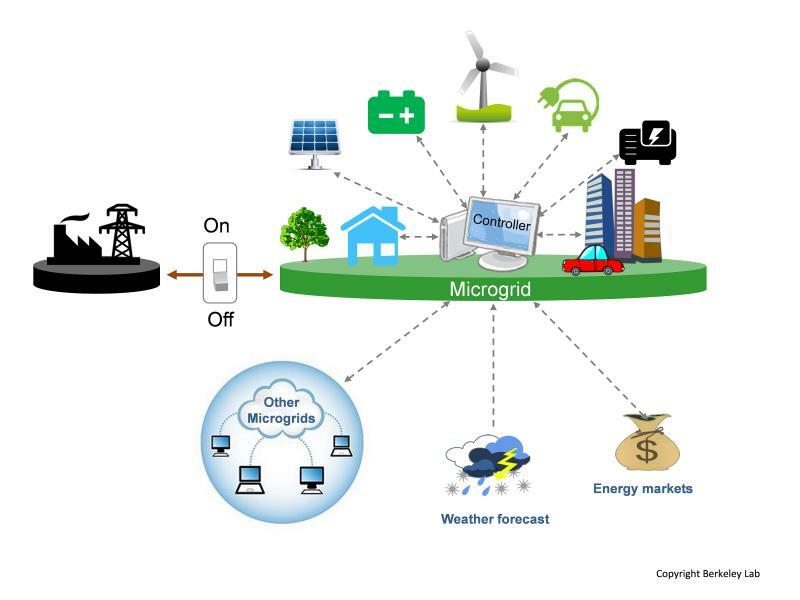 The microgrid concept may increase electrical grid resiliency since, it is capable of disconnect their grid from the main grid, in case of need, and start to operate in islanding mode (autonomously). This is feasible since the consumption loads (at least the critical) may be fed by the own generation (i.e. solar PV or microwind) and energy storage -including batteries or electrical vehicles with “Vehicle to Grid” (V2G) capabilities-. This means, that under any critical situation, the distribution grid may be divided in small parts of it, for minimizing the impact of such catastrophe. These allow us to say that “Electrical Grid Resiliency” of the distribution electrical network will be standing in small pieces of a puzzle called Electrical Power System. Additionally, this novel concept is leading to the evaluation of the potential of local energy markets or energy trading among neighbours through “peer to peer” processes. Additionally, the microgrid may coordinate with other microgrids or active agents in order to offer its flexibility to the distribution network, by participating in the market auction by means of an “aggregator”, which allows to obtain the required size and volumes to participate in markets. Last but not least, the microgrid will make a great leap thanks to the Digitalization of the agents and the Internet of Things (IoT) technologies, which allows to increase monitoring, information processing, provide recommendations to consumers, among others, aiming to optimize consumptions, costs while ensuring system security.